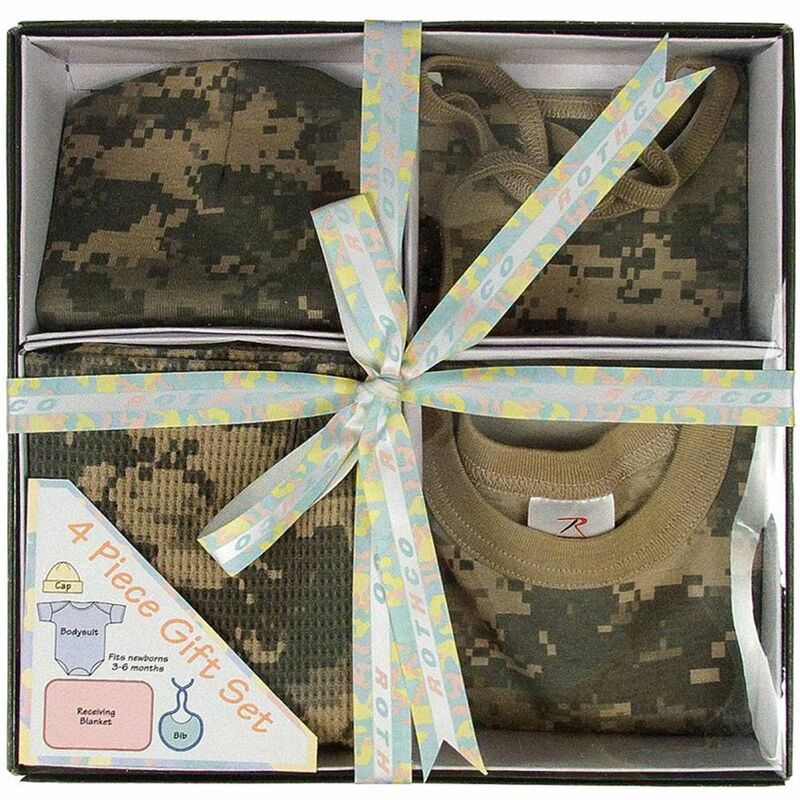 Infant Gift Set is an unusual and cute gift set for a newborn. All items in this gift set are made from 100% cotton and will not cause any rashes or irritation on your little one’s skin. 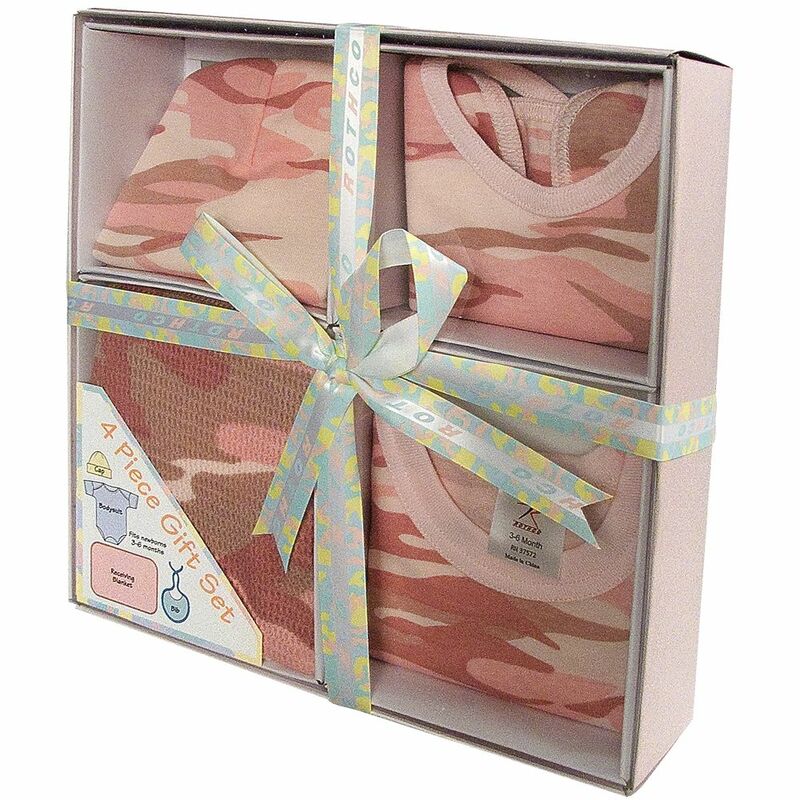 This beautiful gift set contains a body suit in digital camouflage, a crib cap, a bib and a receiving blanket. Your little one will definitely look dazzling after wearing this classic camo suit. This gift set is ideal for an infant who is between three to six months old. 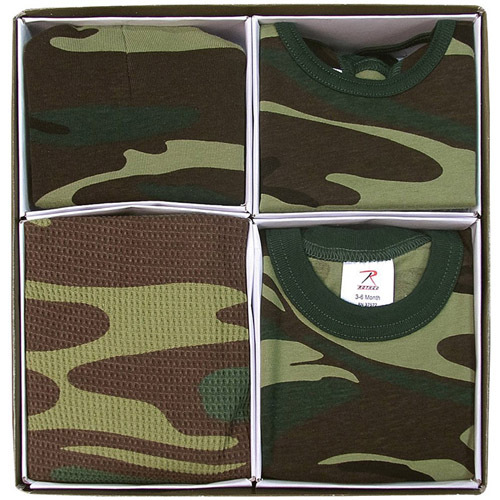 This gift set is also packed attractively.